Our fabulous Fezzah Moroccan Fringe Tunic... without the fringe! 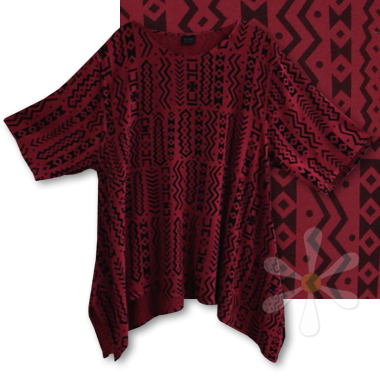 We promise this one's equally wild -- and truly unique because it's in our rare tribal print sousde, overdyed with delicious Cinnabar! For full details and measurements see the main FEZZAH page.